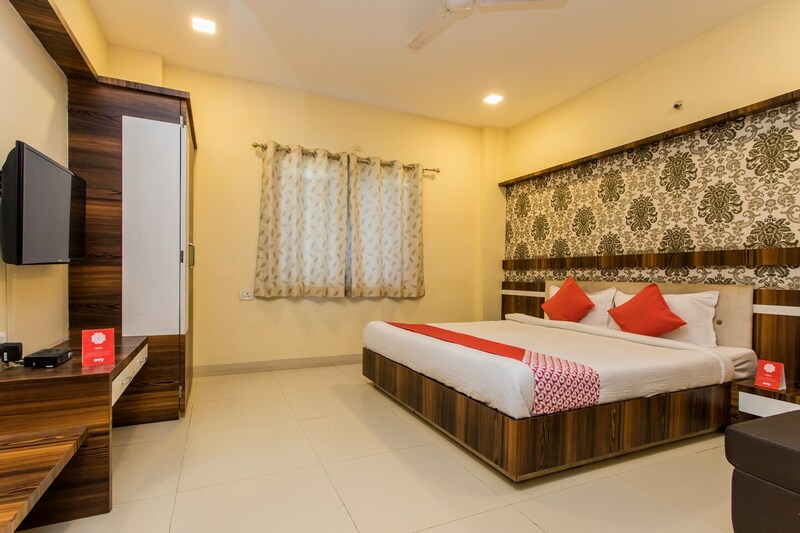 The room provided by Hotel Pride have been decorated elegantly and are very comfortable to live in with a number of in-house facilities. The rooms have been painted in warm hues and there is beautiful use of decorative wallpapers. The rooms are well-furnished and a lot of woodwork has been used throughout the room. The windows are a passage for sunlight in the room, making the space bright and lively. The in-house facilities provided within the property comprise a common dining area, a restaurant, and a lounge. These facilities help the guests to relax and enjoy some free time after a long day. The additional amenities provided at the hotel include free Wi-Fi, a constant power backup source, parking provisions, CCTV cameras, an elevator, laundry provisions, and card payment in all forms.